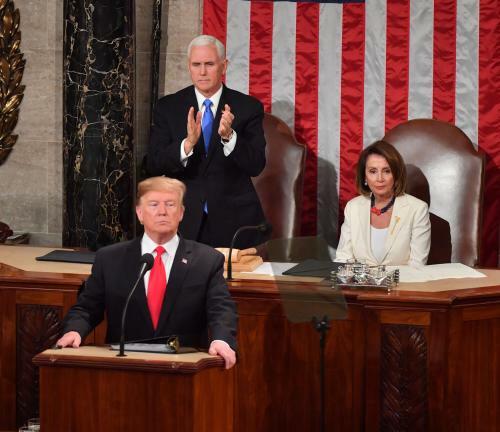 President Trump attacked Iran for its antisemitic agenda during his State of the Union speech Tuesday night. Trump also discussed the massacre at the Tree of Life synagogue in Pittsburgh, where 11 people were killed by an antisemitic shooter. Trump mentioned Israel only once in the speech, in the context of his long-promised peace plan. Trump further stated that ISIS has almost been totally wiped out in Syria and Iraq. Iran often exploits the vulnerability of its tiny Jewish community in order to appear tolerant toward Jews. The overwhelming major of Persian Jews, however, have long since fled the country due to antisemitism.